Dr. Lisa Miller is a Professor of Anatomy, Physiology and Cell Biology in the School of Veterinary Medicine at UC Davis, and the Associate Director of Research at the California National Primate Research Center. Miller holds a PhD in comparative pathology from UC Davis and completed her postdoctoral training in immunology at Stanford University. 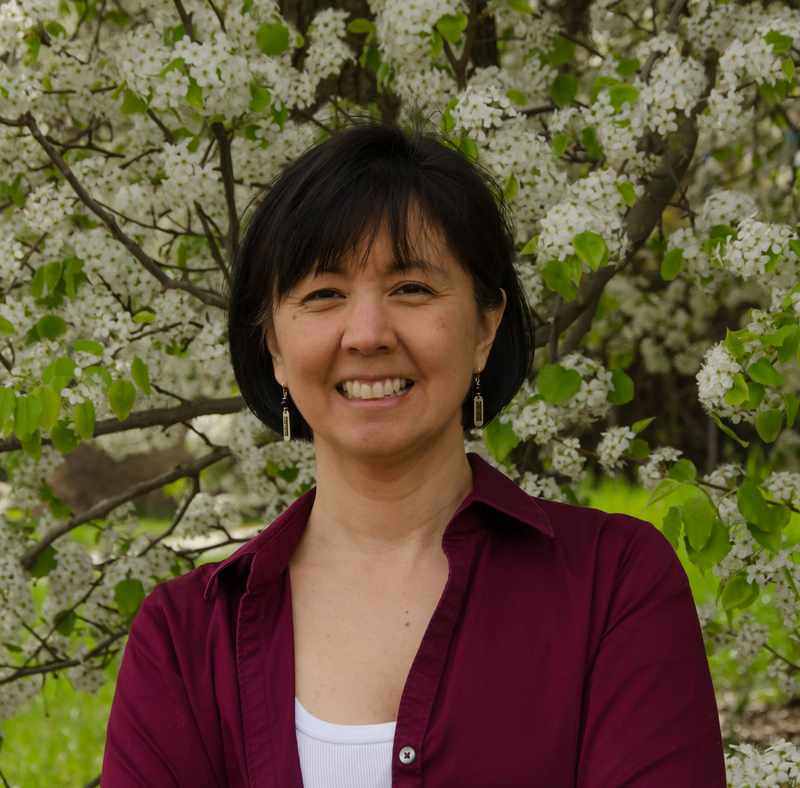 Her work focuses on investigating how environmental exposures like air pollution, allergens and microbes affect pulmonary and immune system development during the first year of life. 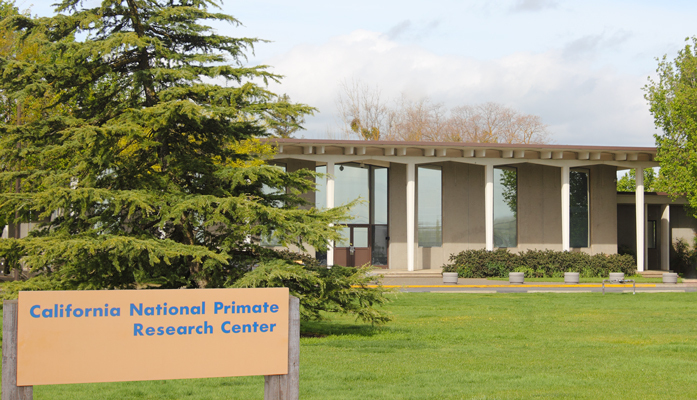 Science writer Jennifer Biddle spoke with Dr. Miller about her groundbreaking research on wildfires at the California National Primate Research Center in Davis, California. I specialize in respiratory diseases and immunology. My research focuses on the impact the environment has on the lungs. I’m specifically interested in how the immune system influences normal lung growth and development during childhood. What do we know and what don’t we know about the impact wildfires have on health? Wildfires are a growing public health concern globally because of the smoke they produce and their increased frequency, which is related to climate change. Typically, susceptible populations like children or the elderly are most vulnerable to any acute air pollution event, like a wildfire. But we don't know a lot about what happens to individuals when they're exposed to very high levels of wildfire smoke, particularly in susceptible populations. People also are living closer to areas with wildfires where they get a significant amount of smoke – and the smoke can travel far. So, there’s interest and concern by scientists to study how acute and chronic levels of wildfire smoke can affect a growing number of susceptible populations. Can you explain PM 2.5 and how it relates to wildfire smoke, for those who may not understand it? “PM 2.5” is shorthand for particulate matter that's less than 2.5 microns in size. It's a very broad term to describe many types of particulate matter. PM 2.5 can come in many chemical forms. What we know about wildfire smoke PM 2.5 is that it can vary highly depending upon the source of the wildfire, as well as how far it travels. While we don't know a lot about the chemistry of the specific type of PM 2.5 that comes from wildfire smoke and how that ultimately affects human health, the major concern is its size. PM 2.5 can be inhaled and deposited into the smallest component of the respiratory system, the alveoli. Size matters but the chemistry also matters and probably influences disease outcomes from chronic inhalation. In 2017, you published some groundbreaking wildfire research. How did that come about? Our 2017 wildfire study was the result of an acute exposure of our infant monkeys living outdoors during the Trinity-Humboldt wildfires of 2008. Due to unique atmospheric conditions in the Sacramento Valley at the time, wind currents shifted smoke into the Davis area, resulting in high levels of PM 2.5. I began thinking about ways to study these animals’ immune and respiratory systems. I approached the California Air Resources Board to see if they’d be interested in supporting a study that could mimic the type of analyses we could replicate in a human population, and that’s how our study came about. What did you learn from this research? Our research showed that infant monkeys exposed to wildfire smoke had an immune system with a depressed ability to respond to infectious agents when our primates reached adolescence. Animals exposed to wildfire smoke during infancy had a significant increase in lung stiffness, which we detected using standard lung function tests that we typically do in humans. These tests were physiologic and showed a reduction in the ability of the monkeys’ lungs to stretch. But we really can’t say that wildfire smoke directly contributed to the stiffness because of the uncontrolled nature of the exposure. How does lung stiffness affect health, and what are you doing to better understand the factors that contribute to it? Stiff lungs limit the ability to inhale and expand the airways and amount of oxygen that you can take into your lungs. Over time, someone with stiff lungs may develop a chronic lung condition, like pulmonary fibrosis or chronic obstructive pulmonary disease (COPD). An ongoing study we’re doing uses CT imaging to visualize what’s contributing to lung stiffness in our animals. How exactly did you assess monkeys’ health in the 2017 study? 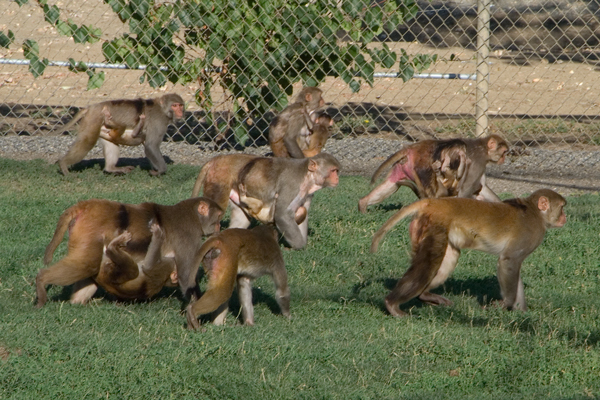 We compared our infant monkeys exposed to wildfire smoke with monkeys born the following year. We tracked them and quantified the amount of pollution in our area during this period of time very carefully. When we compared data on the amount of pollution the animals were exposed to, we also made sure the animals matched in age. 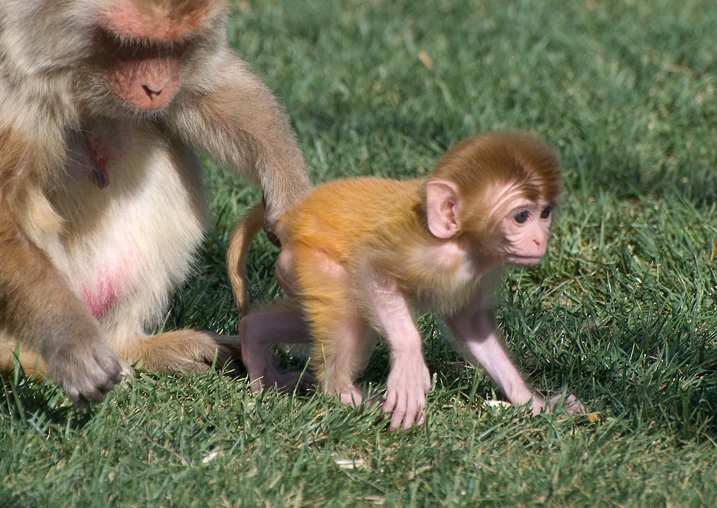 One unique characteristic rhesus monkeys have is that they’re seasonal breeders, giving birth in the Spring. We have many infant monkeys living outdoors in the Spring, so it’s easy to track the amount of air pollution our animals are exposed to every day. What are you seeing in terms of health impacts on monkeys so far? Our animals are now 10 years old and adults. We don’t see evidence of severe life-threatening disease at this time. For example, there's no evidence of cancer or any other similar condition we might find in humans. That said, they’re not old and many of these chronic conditions tend to manifest in the older population. So it's possible that we might see an increase, but to date we don't see anything dramatic that requires clinical intervention. It's also important to emphasize that our animals live in a very protected environment. They have a standardized, healthy diet. They don't get exposed to the same pathogens that humans do, so they've not been challenged the way human populations are challenged. What’s hardest to control for when trying to understand how wildfires affect health? The chemical constituents from smoke are very diverse depending on the location of the wildfire. They can vary depending on vegetation. A study by the Environmental Protection Agency (EPA), for example, compared the toxicity of PM 2.5 from wildfires on the West Coast versus the East Coast. What’s really dramatic about this study is that the EPA found the toxicity of PM 2.5 was far greater from trees on the West Coast – particularly from eucalyptus – than from trees on the East Coast. The EPA determined that the type of trees natural to the environment influence the type and toxicity of PM 2.5 that’s released. In your wildfire research, you studied rhesus monkeys. How are testing animals and humans the same or different? That’s a great question. 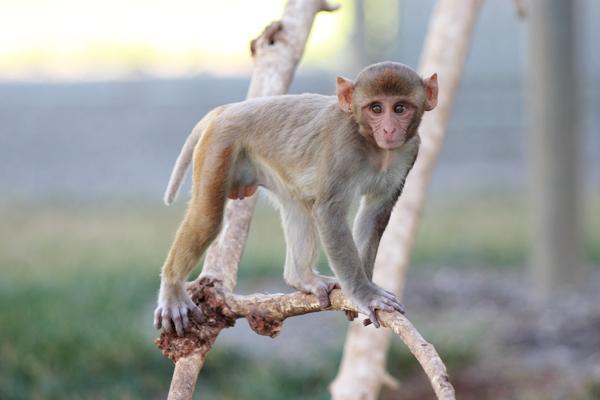 On a genetic level, rhesus monkeys have a genome that's very similar to humans, so they really are the perfect animal model to study these types of exposures. While animals in our study were exposed to the same wildfire smoke that humans in Yolo County were, animals were outdoors 24/7 and humans weren’t. So perhaps the level of exposure our animals received may have been slightly higher. That said, the outcome of our study is significant because non-human primates, from a physiologic and immunologic perspective, are very similar to humans in their ability to respond to a wide variety of pathogens, as well as handle environmental challenges. How will this research help with any human studies down the road? A long term goal is to determine whether children have any health outcomes comparable to what we see in monkeys. We used very mild, non-invasive tests so we could replicate them in the human population. We’ll be working with epidemiologists to survey the community, and specifically kids who were exposed to wildfire smoke during the same period the animals were. We want to determine whether there’s an increase in respiratory disease or any respiratory decline. Is chronic lung disease preventable? This is a major conundrum for clinicians. At this point, we don't have any way to prevent chronic lung disease in the human population. In humans, COPD and other types of lung diseases such as emphysema are highly prevalent in our country and globally, yet we have no way to cure it. Depending on the specific population, it's either the number three or four cause of death in adult humans. But the limited studies we have on human children show that the smallest components of the lung, the alveoli, expand and multiply until children become young adults. And there's growing evidence in humans that chronic lung diseases such as COPD and emphysema likely develop from events that take place early in childhood. This would suggest that infants and children are more vulnerable to what they inhale, particularly environmental pollutants. As such, focusing our efforts toward protection and intervention in young children will likely yield the greatest impact on overall health throughout the lifespan.